Holy Family BNS’s Science Club will be exhibiting their projects on computer programming at the RDS Young Scientist’s Exhibition on Thursday 10th January. Each of the twenty pupils from sixth class created their own computer program that will help other children how to measure accurately with both a regular ruler and a broken one. 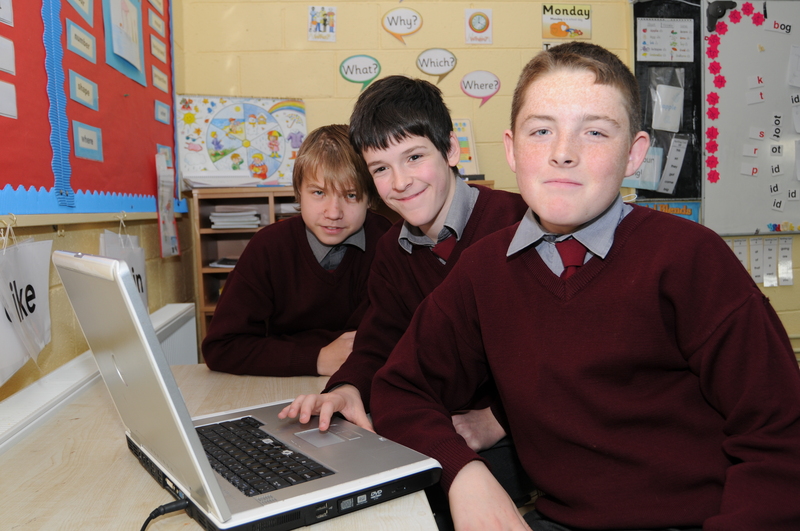 Photo shows sixth class pupils Alex, Conor and Kenneth creating their own computer programs that will help children learn how to use a ruler correctly. Just Google “rdsruler”to view same.